We all know that feeling after having a huge bowl of pasta – your stomach swells up and you feel like you just gained 15 pounds. You feel disgusted with yourself but the food is so delicious you can’t help yourself. While it might not seem like it, your body actually uses carbs as fuel for day to day activities. While consuming, no carbs can be dangerous for some people, there are also health risks associated with consuming too many carbohydrates! Check out the article below for what could happen to you if you throw down too much pasta. Did you know that diets loaded with carbohydrates tend to leave you looking, well, fat? In fact, multiple studies have shown that people are consuming way too many carbs and much of those foods are processed. As a result, those waistlines are getting bigger. If you start consuming more carbs than your body needs for energy don’t be surprised if you need to buy some bigger pants soon. More than any other macronutrients, carbs cause the most gas build-up in the digestive tract. As a result, if you consume too many carbs don’t be surprised if you feel gassy, bloated and uncomfortable. Sensitivity to carbs varies from person to person – some people become gassy very quickly while others can shovel down tons of carbs without feeling sick. Simple carbs found in snack foods, sodas and fruits will give you a quick energy boost right after eating them. However, an hour or two later your energy levels will come crashing down and so will your productivity. Instead, opt for slow digesting carbs which provide steady, longer-lasting energy. Consuming lots of processed food and sugars will result in higher cholesterol levels as shown by a number of studies. What this essentially means is blood cannot be sent around the body as effectively and you are at a greater risk of stroke or heart attack. You probably noticed a trend in this article. When it comes to carbohydrates, it’s the simple, processed ones that cause the most trouble. Aside from a quick energy boost which may be useful prior to your workout, or afterwards to boost insulin levels and absorb nutrients more effectively, simple carbs should not be a staple of your diet. Ultimately the negatives outweigh the positives with these guys and consuming too much of them will leave you feeling tired, weak and looking unaesthetic. Instead, opt for high-quality, complex carbohydrates which provide lasting energy and actually boost your testosterone levels. Yes, you read that right – high-quality carbs when consumed in the right quantities will help boost your t-levels and improve your physique. Try to also time your carb intake to be around your workouts when they are most-needed, rather than late at night when you are trying to wind-down and get ready for bed. With the influx of carbohydrates in your system you will get insulin resistant. Insulin resistance inhabits your leydic cells in your testicles from producing testosterone . Testosterone is as you know crucial for muscle building. Sugar does not only make you fat. Studies have also shown that sugar intake directly lowers testosterone levels. With lower testosterone levels your body will also be at a greater risk of losing fat and accumulating fat. Stay away from refined carbs like candy, pretzels, pasta, white race and cakes. 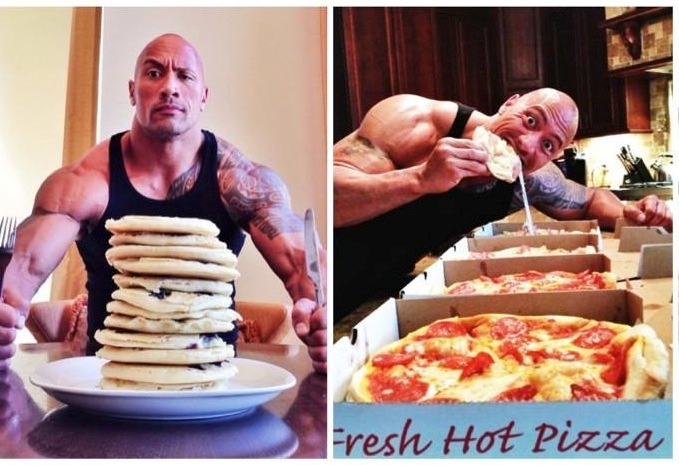 As we have discussed too many carbs are not going to help you build an impressive physique. Carbs can be helpful if they are consumed in moderation and if you choose the right carb sources. 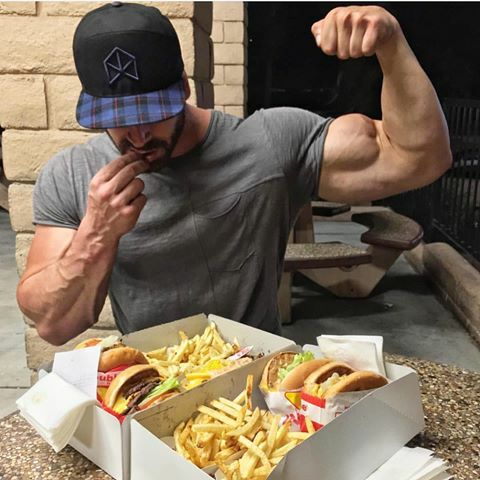 Testosterone is largely influenced by carb intake. If you eat the right carbs in the right quantities it will have positive effects on testosterone production. Too many carbs are not good! Use carbs correctly to achieve your muscle goals. but too many of bad carb sources can make you fat.